Pre-orders include Americana module and Extra Character Pack. 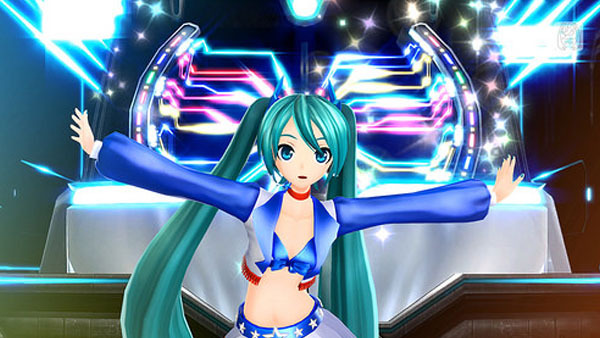 Hatsune Miku: Project Diva F 2nd will launch for PlayStation 3 and PS Vita on November 18 in North America and November 21 in Europe, Sega announced. At select retailers worldwide, consumers who pre-order the game will receive Hatsune Miku’s “Americana” module, which is America-themed with stars on red, white, and blue. It was the winning entry for the PiaPro collaboration for the 2011 San Francisco JPOP Summit Festival. GameStop pre-orders will also include an “Extra Character Pack” containing Akita Neru, Yowane Haku, and Kasane Teto. Finally, players who already own the original Hatsune Miku: Project Diva F as well as its Extra Character Pack will receive these characters for free.